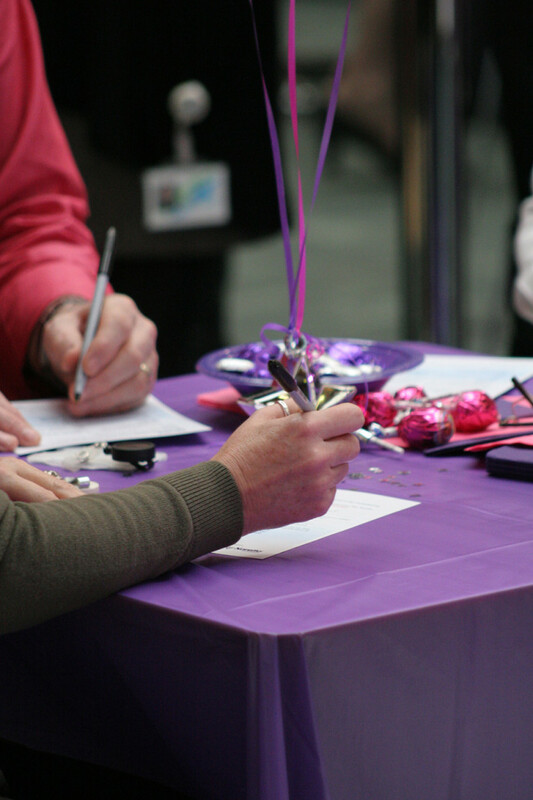 Set dressing for the Bayer Xarelto event. The Bayer atrium, prior to the start of the event. 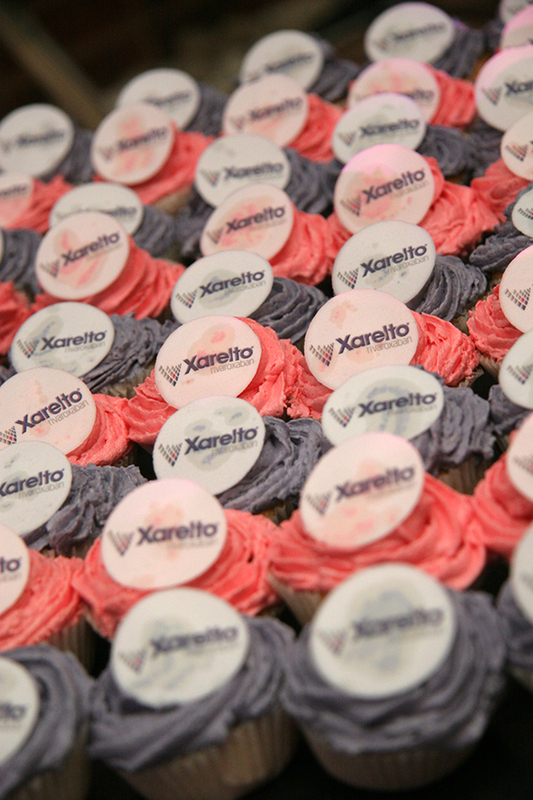 A little bit of cake-based fun at the Bayer Xarelto event. 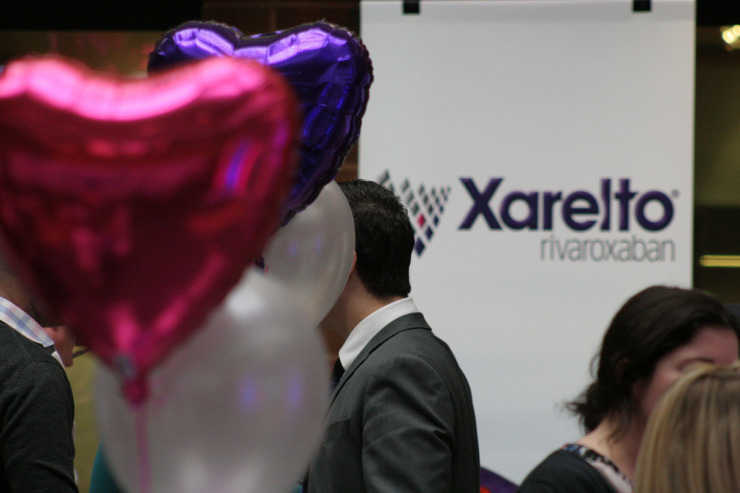 The Bayer Xarelto event in full swing. 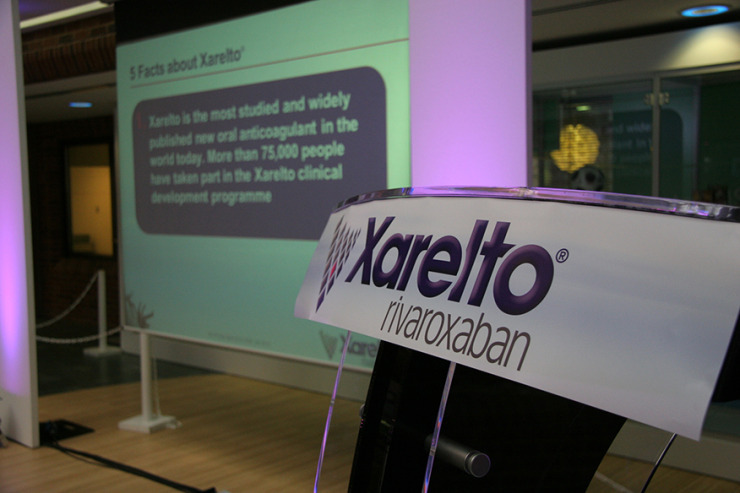 The Xarelto event under way. 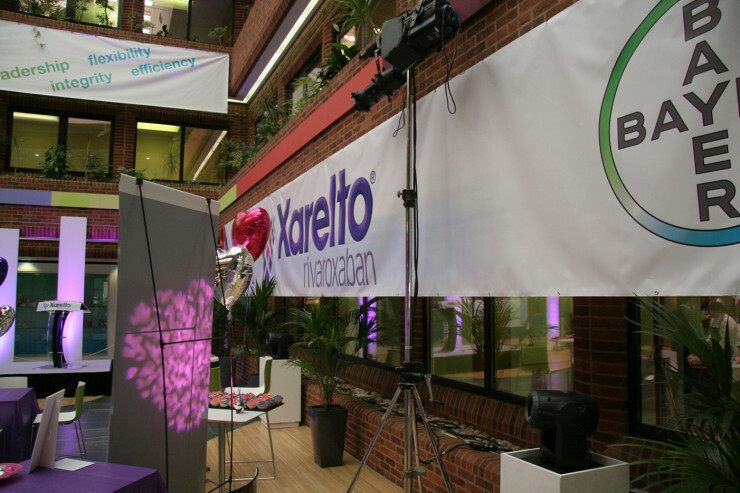 The very large banner produced for the Xarelto event. 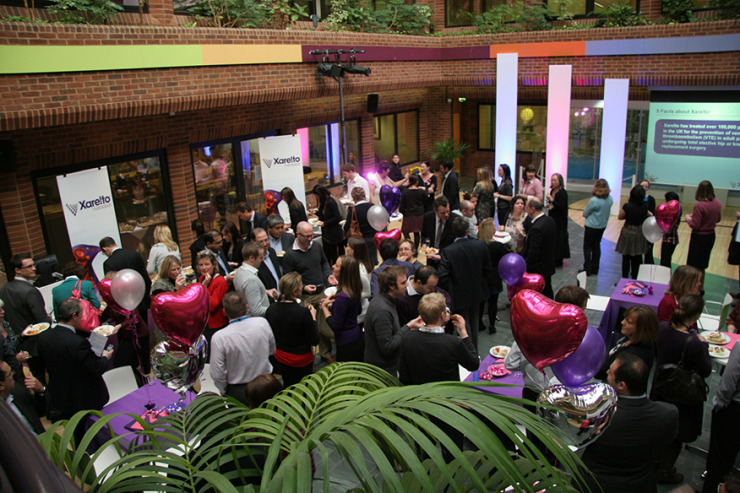 Working alongside global comms agency, Fleishman-Hillard, DFML was responsible for the dressing of the Bayer atrium in Newbury for their Xarelto internal comms event. 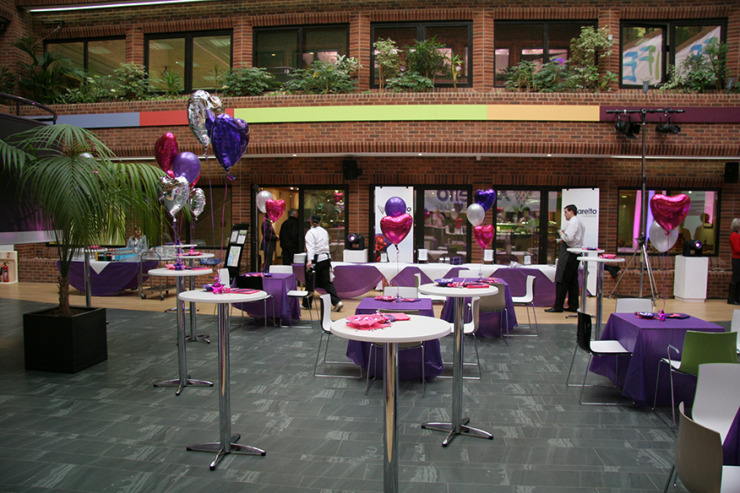 Housing a celebratory event in the atrium of the HQ of a very busy end-client threw up a variety of challenges, which were overcome by a great AV and production crew and close consultation with the Bayer facilities team.